As I clicked on the “New Post” button on the Admin page of this WordPress site, I happened to notice that the total post counter was at 500 posts. I could hardly believe it…that’s a pretty big number. I don’t think I’ve missed a day since I launched the RealHD-Audio.com website on May 7, 2013. There were a couple of days that I messed up the sending or publishing of the daily post, but I have authored a unique post on 500 consecutive days. The site had 41 visits on that first day. Including subscribers that get the email version of these posts, there are over 3000 daily readers. 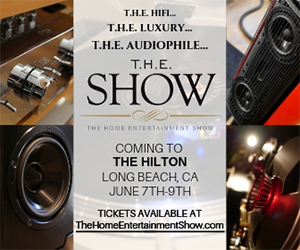 The readership includes CEOs, Ph.Ds, students (including many of my own), retailers, custom electronics installers, speaker/equipment designers, the president of the AES, equipment representatives, audio engineers, record producers, CEA members and staff, and audiophiles. I don’t have any hard facts to back us this stat, but based on the number of emails that I get…there are a lot of women enjoying the site as well as men. I would guess that 10% of the readership is ladies. After all, they consumer just as much music as guys do. I started writing these daily articles because I wanted to cut through all of the marketing spin, the misrepresentations, the audiophile falsehoods, and the outright lies that are so prevalent in the world of high-end audio. After a lifetime of enjoying music (performing it, listening to it, engineering it and producing it), I like to think I’ve learned a thing or two along the way. And I’m thrilled that so many fellow music lovers appreciate the posts and support the effort to get some truth and sensibility into this crazy passion. My goal is to change the music industry. Maybe just a little or maybe a lot. But I’m confident that music recordings can be better than what we get most of the time. It used to be that music people ran the major labels. My friend Hale Milgrim started his career working the aisles at Tower Records and ended up running Capitol Records. And he wasn’t alone in placing music first and letting the business stand in second place. The music industry is not the same as it was when I began my career 40 years ago. The artists, the music, the production tools, airplay, distribution avenues and listeners have changed…and not necessarily for the better. I’ve been very fortunate to be in the right place at the right time a few times in my life. I worked in a 24-track commercial recording studio right after graduating from music school and learned all about analog recording, editing and mastering vinyl LPs. When the compact disc arrived in the fall of 1982, I can remember sitting at the KEM offices in West Hollywood with Peter Weibel and Mike Denecke listening to the first few CDs on Peter’s new CD player. I think it was a recording of the late Schubert String Quartets…amazing sound, random access and over 60 minutes of music without turning over the disc. My company produced the first DVD-Video titles released in the U.S. in March of 1997, the first DVD-Audio titles in 1999 and the first Blu-ray music discs in 2007…including Blu-ray 3D. 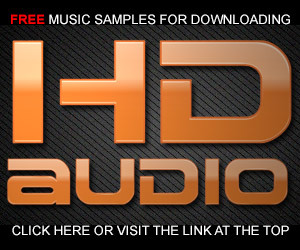 I launched iTrax.com, the first high-resolution audio digital music download site in November of 2007, which was the first HRA site to offer multiple mixes including surround sound. Now the world of music production and delivery is entering another phase. Discs are diminishing in importance and files…including high-resolution files…are a reality. But the source files from which the new HRA downloads are made are the same ones that produced the CDs that we’ve been listening to for 32 years. That’s what prompted me to start writing this blog. We need transparency in the HRA marketplace AND we need to urge the artists, audio engineers, producers, and labels to embrace higher fidelity sound. Not merely higher specifications but actual music that has some heart and soul let in it. It can happen. The hardware is already available. But the content is not…yet. I’ve got at least another 500 posts in me. Thanks so much for the continuing support and the encouragement to keep up the fight. It’s been a very rewarding experience and I’m far from done. Using your “Contact Us” page, I’ve requested numerous time credentials to download your free samples, yet without reply. Why? Alex, I have sent the credentials to your email several times. I just did it again…please check you JUNK or SPAM folder. Keep it up doc. Really enjoy your posts and have learned so much either directly or indirectly from them. Very much appreciated. I want to let you know I hope you have another 500 (plus) posts in you. I guess I fit in the audiophile category, not much musical talent but appreciate those who have it and can do well at it, and those who can recognize it and bring to us all. I have learned quite a bit from your posts. Keep it up. Keep up the good work, Dr. AIX! Why stop at 500 more? Thanks for all your posts and work in the field. 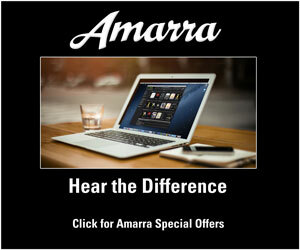 You give us audiophiles some hope. 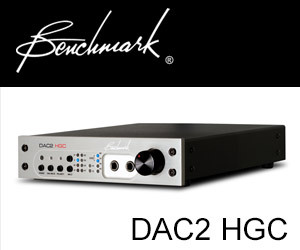 I signed up a week or two ago after hearing an interview with you on hometheater geeks – you posts are interesting and refreshing, there are too few rationalists posting on audio and you are one of the few – good luck and keep on posting! Actually, although I must admit that I downloaded quite music, if there is a label on the can and you should invest some money is on AIX RECORDS has restored my hope in unsealing records. There are few labels you can confiar.Gracias for his writings Free educators . Congrats on the 500th post. I read every post I can and have learned a great deal from you over the past year or so. Keep up the fight! We are with you 100% to bring honesty and transparency to the HRA market! Love your emails! I have learned more in six months of reading your emails than the first 52 years of my life! Keep up the good fight there are a lot of us watchers out hear that just love great music! Here’s to many more posts! Always a wonderful mix of education, opinion and the spirit of the righteous underdog. Thanks John…there aren’t a lot of readers that go as far back as you do…and I’m not far behind. Congrats on your hard work, honesty and competency – as I (unfortunately) age, I realize more and more how rare and valued that combination is. (Continue to) Be bold in fighting the good fight for high quality music! Thanks…I really do appreciate the encouragement. You already have Mark. 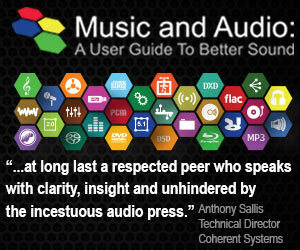 But we need you to continue, so a sufficient number of audiophiles end up converting most music lovers. Thanks…Édouard. I’m not done yet. 500 posts of an entire career’s invaluable experience generously shared, qualitative, honest, enriching and fact-based content, and all with an unwavering committment to scientific accuracy and utter disregard for industry hype, BS and snake oil. My most sincere appreciation and admiration for your generous passion.